I was invited to give a talk this summer to the annual meeting of the Virginia State Beekeepers Association. Over two hundred people generally attend this meeting! Wow! And take a look at this link to see how many bee keeping chapters there are https://www.virginiabeekeepers.org/local-groups/local-groups-map . Many years ago, quite a few of us in the quail world began to see parallels between pollinating insect habitat and quail habitat; and, for over 8 years I have been giving a presentation titled “The Bobwhites and the Bees.” I am honored to “bee” speaking to the bee people! The world of honey bees is fascinating. I know enough to get “stung” trying to talk about them, but while sharing programs with several superb bee keepers, I picked up a few things. Did you know that one out of every three bites of food is attributed to being visited by pollinators like bees, butterflies, birds and other animals? Recently I watched a gray squirrel go through a tulip poplar, limb by limb, poking his nose into every flower – never thought of squirrels as pollinators, huh? 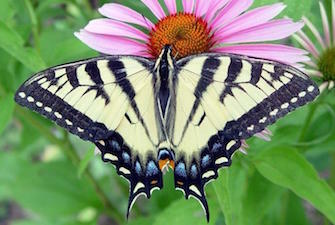 The truth is animals pollinate about 85% of plant species worldwide. And pollinating insects are in decline. European honeybees help offset the decline in native pollinators and many growers of produce and fruit rely on them to meet the demand of consumers. 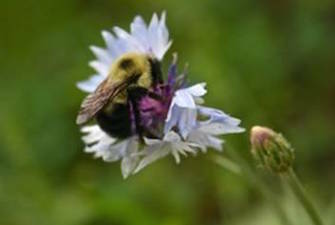 But there are over 4,000 native bee species in North America and more 500 species of butterflies. So why do we rely on honey bees so much? 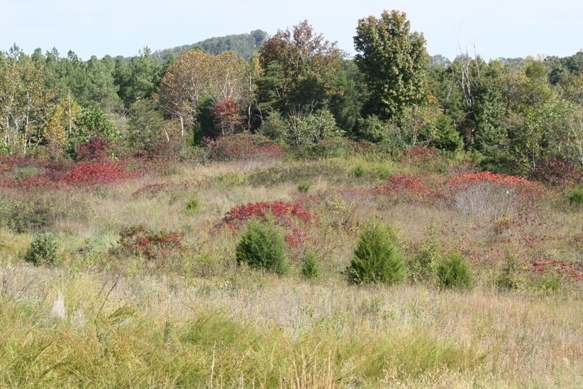 The habitat for all these species, like the habitat for bobwhite quail, has declined markedly. And I am sure you have all heard of honey bee “colony collapse disorder.” Declining habitat may not be the only cause of the declines in these species, but it is a major factor. One thing I learned while listening to the North Carolina apiarist give a talk last summer is that honeybee keepers often have to feed their bees. There was a lot of talk about what types of feeds were best, and when feeding was necessary. That struck me as odd. I wondered to myself, “Was there not a day when bees could feed themselves year around?” To enhance quail conservation efforts in some areas, quail, too, are sometimes being supplementally fed. This suggests that modern ecosystems cannot naturally meet the food demands of many organisms. As a kid in the 1960s, I remember bumble bees being everywhere and wild hives of honey bees were common. Just as common was the whistle of the bobwhite. It simply seemed like the land bore more “fruit” then than it does now. The overlap between quail habitat and that for pollinators is striking. I now judge the quality of quail habit during summer based on the number of bees I hear buzzing or butterflies I see nectaring as I walk through it. 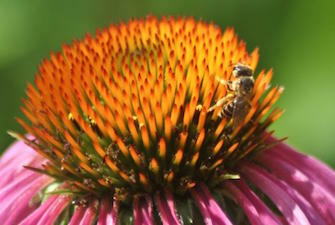 Many fantastic quail plants are equally great for bees. For example, the black and gold bumble-bee (Bombus auricomus) visits bee balms and night shades, which provide insects and good brood-rearing habitat structure for quail chicks. Partridge pea (Chameacrista fasciculata), a common native legume cherished by bees, is a key larval host for several butterfly species (like the Cloudless Sulphur, the Sleepy Orange and the Little Yellow) and makes great brood-rearing cover for bobwhites. And all you need to do in the month of May is walk by blooming blackberry thickets to know that this escape cover for quail is frequently visited by bees and insects of many varieties (not to mention quail relish eating the ripe berries). Perhaps the most notable bee in decline is the Rusty-patched bumble bee (Bombus affinis), which was recently listed as endangered by the U.S. Fish and Wildlife Service. 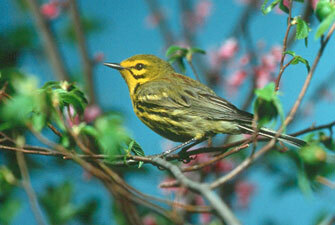 Its populations have declined by over 80% and it is only found in small portions of its native range. 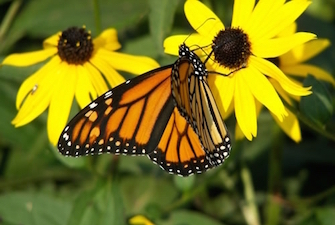 It nests in the ground and has an affinity for native sunflowers and golden-rods (Solidago sp. 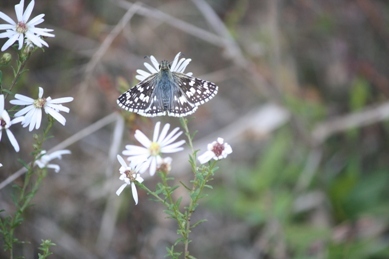 ), two plant types that provide good habitat structure for quail, are rich with insects and covered with butterflies during fall. And did I say “nest in the ground?” Yep. Though quail nest on, not in, the ground they do need bare dirt under their feet to prosper. This does not mean open exposed bare ground. It means some open-ness and bare dirt under a canopy of herbaceous vegetation. Aha! The same is true for many of our native bees. In addition to bumble-bees that nest in the ground, there are many species of digger bees that need access to bare ground for nesting. Those of you who garden know the ones I’m talking about. They can be very numerous around your garden in spring and at first may alarm you, but they almost never sting. 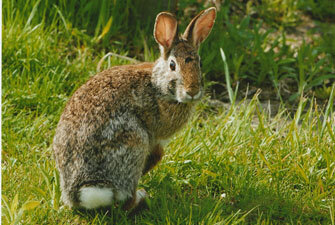 They love to nest in the bare ground of a garden and while there they help pollinate your vegetables. 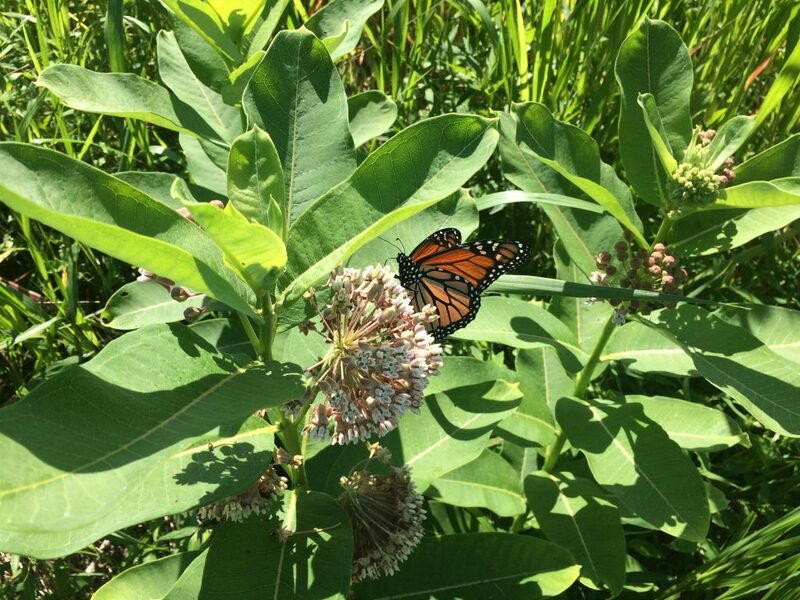 Here are some plants that really benefit bees and other pollinators: giant yellow-hyssop, swamp milkweed, butterfly weed, spotted Joe Pye weed, flat-topped goldenrod, St. John’s wort, blue lobelia, stiff goldenrod, hairy beardtongue, narrow-leaf mountain mint, black-eyed Susan, green-headed coneflower, rough-leaf goldenrod, white heath aster, blue vervain, New York ironweed, Culver’s root, partridge pea, sumac, desmodiums (beggar-weeds or tick trefoils), sunflowers, and many more. If everyone interested in bees, butterflies, and bobwhites would learn to love and manage for weeds, wildflowers and thickets, collectively we could all “put the sting” back into our environment, and in so doing put the life back into it. Call us if interested in learning how … 434-392-8328. Writing for some of us who are not gifted speakers, or ad libbers, is a way to communicate and convey our ideas and emotions. But it seems more and more if words are not written in short bursts of text, or attached to a meme, people don’t seem to have time for them these days. Thus, here is a BLOG that is mainly photos. 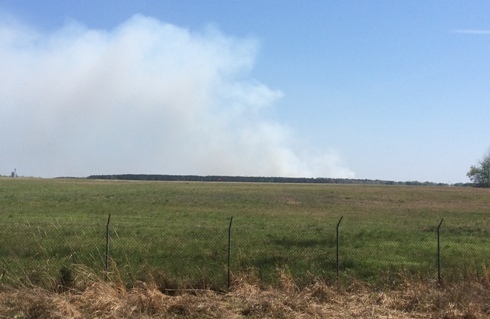 Smoke (from a well-planned prescribed burn), the smell of quail habitat being created in the morning, it smells like…victory. Get serious or get lost – open those pines up for wildlife. Have you hugged a weed today? This is what a weedy field border looks like. This is what ragweed looks like in winter. Excellent brood rearing cover has now become excellent winter food. 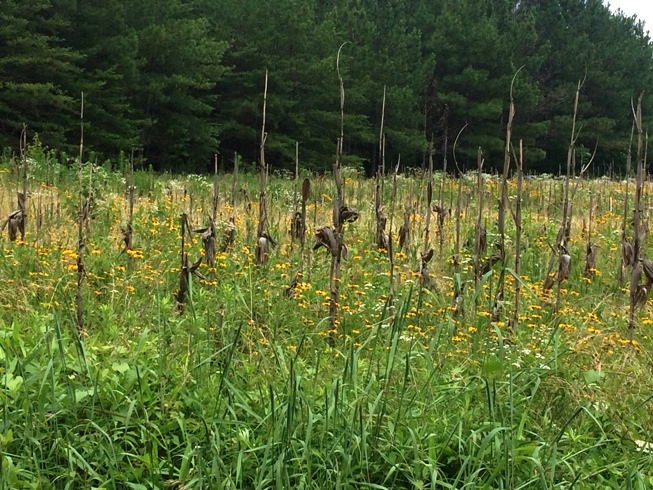 Studies in Virginia showed ragweed made up a huge portion of the quail diet, in November, December and even into January it still made up 10% of their food. On an ounce-by-ounce basis it is more nutritious than corn. 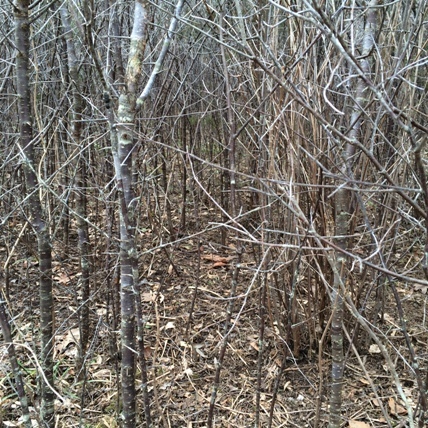 Thickets, thickets and more thickets – if you don’t have them, you won’t have quail for long. This is what a quail covert looks like on the inside, open enough for them to move around and loaf, but protected from aerial predators. This is the “guts” of a plum thicket. effort to make it simpler, I’d say something like, “Well, for trees of this age, a basal area of 40 to 50 square feet per acre would mean you would have about 50 to 60 trees per acre.” Huh? Thus, many a landowner has been forever lost to the babblings of a professional. Let’s define basal area, then put it in context. Simply stated, basal area is the area in square feet of timber stumpage if you were to cut off every tree about 4 feet off the ground and measure the area of the stumps in square feet. View through a densitometer shows where cross hairs and circle intersect there is tree limbs. This counts as canopy coverage. 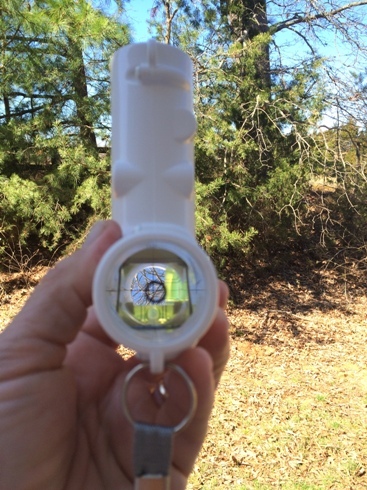 By running transects through a pine stand and taking periodic readings with the densitometer – you can get an accurate assessment of canopy coverage. Envision a stand of older pine trees where each stump cut-off “at breast height” measured out at about 1 square foot of basal area. At this point in their growth, basal area and trees per acre would be exactly the same. To find the area of a circle, the equation A = π x R², or (R x R) where “R” equals the radius of the circle. If you do the math, what it boils down to is a tree that is about 13.5 inches in diameter produces 1 square foot of basal area. Let’s keep it simple and just say 14”. Thus if you had 60 trees of 14” diameter on an acre, you’d have about 60 square feet of basal area. What a mess, eh? Clear as hot chocolate, right? My point, exactly. But one thing should be obvious – it takes more trees per acre at smaller diameters to equal 1 square foot of basal area, and fewer larger trees. The good news is none of this math nonsense matters to a quail…what quail care about is how much sunlight reaches the forest floor at mid-day during summer. And it is not really the sunlight they care about. It is what the sunlight produces…more seed and insect-laden herbaceous growth down where they need it. Let’s think about canopy closure, a concept I believe more people can relate to. Canopy closure ranges from 0% to 100%. A brand new cut-over has 0% canopy coverage. A triple canopy tropical rain forest has nearly 100% canopy coverage. So let’s forget about trees per acre and basal area and just keep it simple … think about sunlight reaching the forest floor. 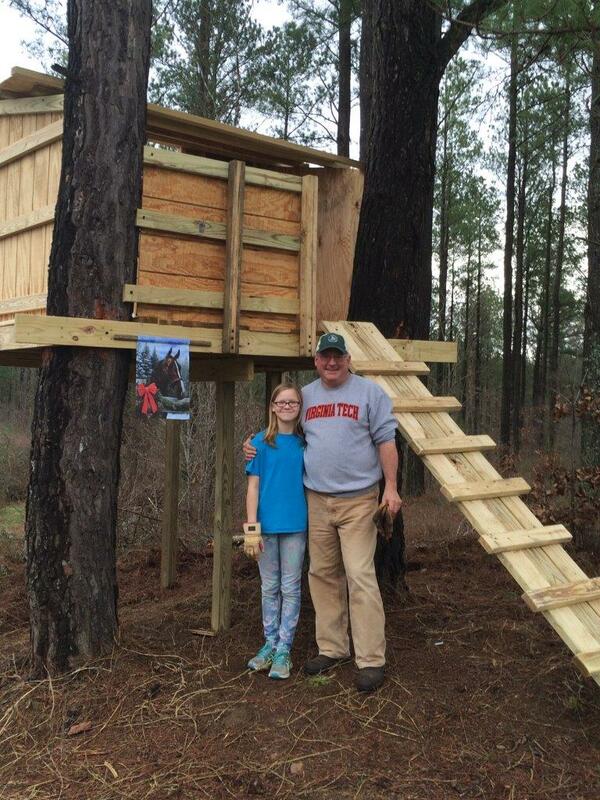 The general rule is this: “At mid-day during summer, when the sun is high in the sky, nearly directly overhead, a properly thinned stand of pines for quail will see about 60% – 65% sunlight on the forest floor at mid-day.” This translates roughly to 35% – 40% canopy coverage. Simply put, when you stand under your thinned pine stand and look up, you should see a good bit more sky than tree crowns. This can be measured in many ways, one being with a densitometer. But understanding the concept is more important than taking exact measurements. Most likely when you approach thinning your pines, you will work with a consulting forester. The forester will understand basal area and trees per acre. As the landowner, your job is to clearly state your goals to the forester. You need to make sure they understand you want to see your trees thinned a bit heavier than normal. The forester then translates your desires to the wood cutters. Many cutters are accustomed to doing things a certain way. In order to communicate effectively how you want your trees thinned, it may be necessary to have a portion of the stand “marked.” The forester will use timber marking paint to mark “leave trees.” The cutter then harvests all but the un-marked trees. It costs money to have trees marked, but you do not have to have the entire stand done. 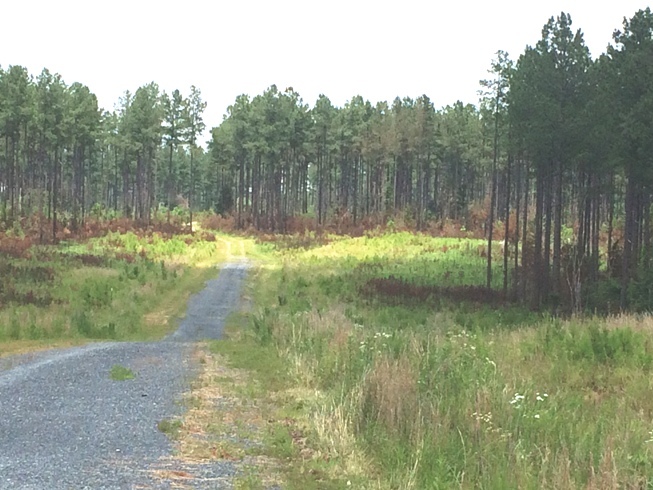 For example, on our stand of loblolly pines, we had our forester mark five acres out of 65. 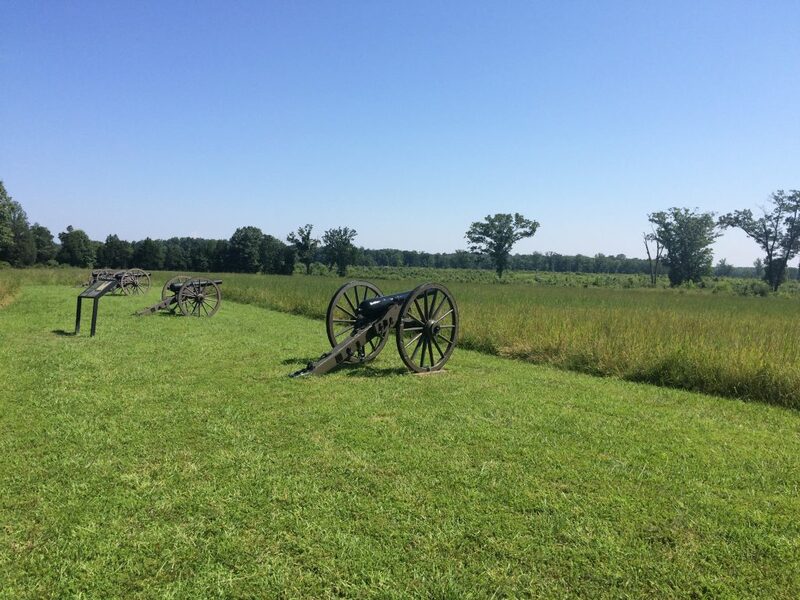 These five acres gave the cutter a visual image of what we wanted and he took it from there. Our forester deducted the price of the marking out of our timber profits. 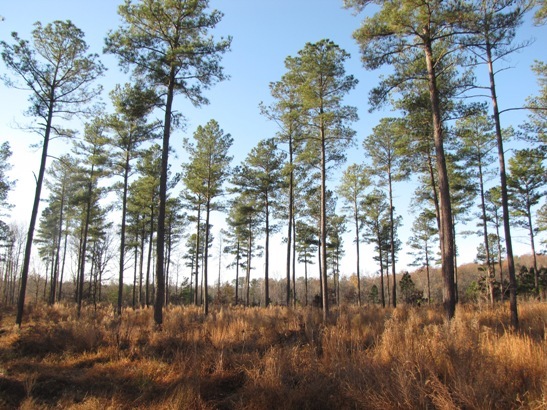 On most sites in Virginia loblolly pines are thinned first between the age of 15 and 20 years. We usually recommend that on a first thinning to simply go with the standard rate of thinning common in the area, or what your forester recommends. These younger trees are still relatively small in diameter and susceptible to wind and ice damage. But by the time they reach the age for a second thinning, 25 years or so, they can tolerate a real “quail thinning.” They can be managed from this point forward specifically for quail if that is your goal. 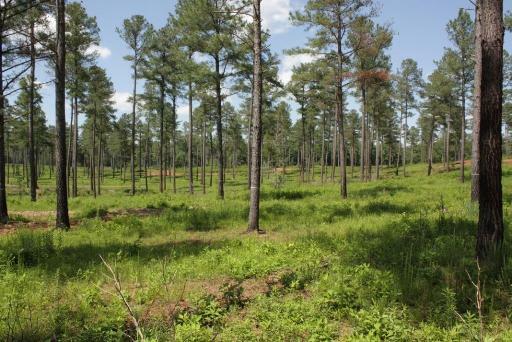 While most loblolly pine stands are clear-cut for saw timber at around 35 years of age, there is no reason they cannot be managed much longer if the creation of pine savanna habitat is desired. 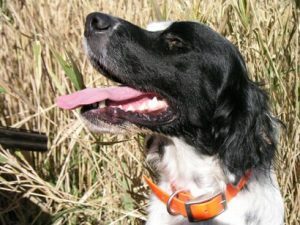 Author’s note: This BLOG is dedicated to my Llewellin setter, Smudge, who drifted off into the shadows of a grouse-filled thicket in heaven last week. Until we meet again my friend. What’s it take to be a “bird hunter?” I think some aspiring new hunters ask themselves this question and often give up before they get started. Many of today’s young hunters never grew up around bird hunting and their only vision of the sport is that portrayed in some of the high-brow magazines that talk more about fancy clothes, fine wines and crab dip, than bird hunting. But the bird hunters I grew up knowing might find it hard to stifle a snicker, or an outright laugh, at the tweed coated, 10 grand shotgun-toting, truffle-eating bird hunters pictured in some of today’s sporting ads. Don’t get me wrong. I enjoy a snifter of top-shelf bourbon and a nice plate of smoked salmon from time to time, but I am equally at home with a cold beer and a cheeseburger. And if someone gave me a vintage Parker shotgun I’d have to mortgage my house to buy, I’d take it, but I find my 1974 Remington 1100 20-banger more than adequate (and it surely does not hurt as much to miss with an inexpensive gun). Chances are you already own a shotgun worthy of bird hunting. So I call on all you oldtimers out there to lighten up, take a young hunter out on a “lowbrow” bird hunt sometime and let them know no matter how you dress it up, it is about fun and the relationship with a dog – whether the dog be from well-heeled national championship field trial stock or from unregistered “meat dog” lineage. And being a “sporting gentleman” has more to do with your demeanor than your clothing or number of digits in your salary. Dogs ($250.00 to $1,500): Yes, you can spend a ton on a bird dog. And while sometimes you get what you pay for, it is no guarantee of success. There are many good dogs available for reasonable rates if you look. No longer is bird hunting strictly the realm of pointers, setters and Brittanys. Many breeds make fine bird dogs, German long and short haired pointers, Vizlas, and yes, pointing labs, along with many flushing breeds like Boykins and Springer Spaniels make loyal companions. It is possible to get a good dog for less than what most folks pay for one of the four TV sets in their home. In fact, many probably carry phones in their pockets that would easily have paid for a nice dog. My suggestion is to buy a puppy as young as you can find. It is most important that a dog bond with you. The more time you spend with the puppy, the more it will love you and be your dog. Most of us don’t hunt on horseback or off mule wagons, so a close working dog that checks back with you on its own is best. Dog training (DIY DVDs out now – $50, unless you want to hire a professional): Some bird hunters are only happy with dogs that hold a point, hold steady to wing and shot (don’t run when the birds flush or shots ring out until released by the owner), retrieve and back well. I admire and respect this, but it is not necessary to enjoy bird hunting. If your dog will obey basic commands like “Whoa” and “Come here,” and will hold a point (if a pointing breed, or work close if a flushing dog) and back another dog’s point, a good time can be had. Retrieving is something that comes natural to some dogs, but can be tough for others. My best dog would only retrieve if there was another dog present trying to get the bird. I have never owned a dog that was steady to wing and shot and I don’t ever plan to. Training a bird dog can be very stressful if you approach it like you have to get it all done today. But if you take the tactic of “one step at a time” you can learn to enjoy the training (and here is a hint, if you do not learn to enjoy it, you won’t be very good at it). In terms of training for dogs or people…it is always best to end on a high note and never leave the field “mad.” There are good books available on this subject – buy one. Dog Training Aids ($200 – $800): There are some basic necessities like a check cord, a good whistle, a bell or beeper collar, and perhaps a blank, or starter pistol (a decent cap gun can work well). As time progresses you may require an electronic stimulation training collar. This can come in handy for safety when breaking a bird dog from running deer, which increases their risk of being hit crossing a road. 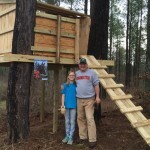 At some point you may want to build a quail recall pen for housing pen-raised training quail. And you might also want an electronic bird launcher. But you do not have to have all this stuff at once. Dog Boxes: I have seen dog boxes that would have been an improvement on places I have lived myself in my younger days. My dog rides up front with me…costs me nothing but the occasional electricity required to vacuum out the dog hair. Places to hunt: A good friend of mine took the time one day and figured up all the public land within 2 hours of us here in central Virginia, almost 200,000 acres. Does it all have upland gamebirds…yes…just about all of it. These lands contain a lot of woodcock at times, a few quail and a few grouse, not to mention doves. Is it great hunting? Not by Texas standards. Can fun be had hunting birds on it? Yes! It requires an adjustment of what you might consider good hunting – does finding 5 to 10 woodcock in a day sound good? Does finding a covey or two of quail from time-to-time sound good? Many modern hunters have lost the fine art of “scouting,” which for me is half the fun, riding around during the off season and looking for new coverts, marking places on topo maps for future looksees – it is all part of an enjoyable process. Hunting companions: I suggest you keep in mind hunting is supposed to be fun. Several of my hunting companions and I have remarked that the older we get the more we like to be around dogs and the less we like to be around people. I do know this… the older I get the more I like to be around people who are like my dogs…they don’t judge me, they accept my short-comings and are always happy to see me (of course they don’t have to jump up on me, or roll in deer poop to qualify). So stop talking about becoming a bird hunter. Take all that money you were going to spend on an exercise bike with a video of spandex-clad personal trainer barking at you, and invest it in a way to get the best exercise one can have, out in the fresh air with a good bird dog (P.S. – I average walking about 6 miles per bird hunt over rough terrain). They say a picture is worth 1,000 words…but I think what they are really worth is 1,000 memories. These days they’ve gotten so easy to come by. The digital world has improved some things, but I still miss the feeling I had back when I turned in a roll of Kodachrome and went to see them “again for the first time.” The end of the year is a time for reflection, and I am actually writing this on December 30th, 2016. The office is quiet today and I am able to look around my small portion of it at some of the photos that clutter my wall. I had a fellow tell me one time, “Wow your office is like a monument to you.” I don’t think he meant to insult me, and if he had looked closely he would have seen all the other people and pets in those photos. I did not bother to try to explain to him that these photos are like my “Linus blanket.” These office walls and this job can close in sometimes and it is hard to explain the suffocating feeling I get from time to time when I feel like all I can do is never going to be enough. So I surround myself with people and places that take me to someplace warm. I see friends when we were young. Like that time we went to Santee-Cooper South Carolina and caught enough catfish to fill two big coolers with fillets. One night we fished through a violent thunderstorm. Those were the “bullet proof” days. We were fishing two poles each until the storm hit and as the rain pelted the water, the fish began to hit so fast we had to reel in one pole and focus on one. We caught them up to 40lbs. The next day we took these pics, hauling them in a wheelbarrow to the cleaning table. I see a picture of me and a friend back in 1983 on a rabbit hunt while I was home on leave from the service. I am holding a rabbit and I’m wearing a pair of blue coveralls my Mom gave me for Christmas and a white toboggan – back before blaze orange became mandatory. Yes, luck sure plays a role in our continued existence sometimes. And there is a photo of most of the core members of the 5 Bs Hunt Club posing in front of our deer hanging tree with 7 deer in the background and all of us striking a pose like we had just conquered Normandy. Of the six of us in that picture, two have now gone on to hunting grounds in the sky and our club as a whole has seen seven members pass on since its heyday. We visited the old cabin this November on the anniversary of one of those lost. The old Catalpa tree that hung our deer had also succumbed to time. But those memories hung on the fall air like wood smoke and, if you listened real close, you could hear feet falling on the old cabin floor. There’s a picture of when I first started working for this outfit. One of my co-workers and me posing with two nice jakes during spring gobbler season. We got ribbed pretty hard for killing jakes, but we didn’t care. I have hunted turkeys all over, and I have been defeated by wary old long beards way more often than I have won, but those two jakes…what a hunt. Long story short, my friend taught me a lesson about teamwork that spring. We hunted as a team and in this case we had been after these birds for a couple days, we had a decoy set-up and we sat about 2 yards apart with our backs to a downed stump ball. Over the hill they came running to the decoy, both like high school boys at their first dance. Our shots rang as one sound and the two birds dropped within feet of the decoy. I have never been more proud of a turkey. There’s one of my wife before we were married. She was learning to fly-fish, but this day we used fly-rods and bait to fish for stocked brook trout on the South Fork of the Piney River in Amherst County. Of course, I was trying to impress her with my skills and she caught the biggest brook trout to date either of us has ever caught. Life gets crazy and we don’t fish together much anymore. It seems to me relationships have a way of going around some bends, but then coming back someday. Her smile that day raised the temperature along that chilly creek by 10 degrees. I could keep on for many more hours talking about these memories. I hope you have many of your own. I hope every day you wake up you say to yourself, “Let’s go make some more.” The last one I’ll mention today is of my daughter and me at a fee trout pond in Nelson County. When she was young I took her to a place I knew she could have success. 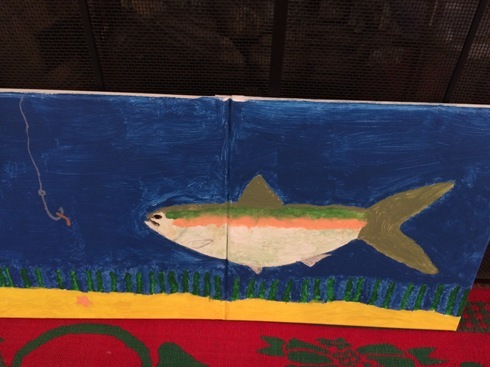 The trout were expensive, but she didn’t know that. She had a ball. But what I remember most when I look at this picture is not that day itself, but a day a couple years later when I asked her, “Do you want to go back to the trout pond, or do you want to try fishing for them in the river?” She said “Daddy, I think I’d like to earn my trout, let’s fish in the river.” I think I’ll sit here and look at these pictures a while more…and just keep the thoughts for myself. Our agency is currently implementing our biennial hunting regulations review and amendment process. We have been taking public comments for three months. The initial online commenting period closed November 30. More comment periods will follow as regulations are proposed. As a project leader, one of my duties is to lead discussions with our small game committee on public comments and ascertain whether any small game seasons or regulations need modification. We take this process seriously and all public comments are presented to the committee. As a member of the public it is important for you to note that having your comments heard does not mean all comments or suggestions will lead to the changes requested. Much of our small game committee discussions revolve around whether the quail season and bag limits need adjusting. To be frank, we get very few comments on quail seasons. But we agonize over this issue as dedicated staff wanting to do what is right. I have stated many times that biologists generally believe quail hunting has not been the cause of the quail decline. And quail hunter numbers are at historic lows. We had almost 145,000 quail hunters in the early 1970s and we are now down to less than 9,000. Most of those are incidental quail hunters, meaning they do not pursue quail purposefully, but generally encounter them while hunting other species. In spite of our very best efforts over the last decades, outside of pockets where quail numbers have increased or remained strong, and off properties where landowners have done significant quail management, Virginia’s quail population continues to decline (as well as those in most states). This leads some to question why we continue to allow statewide quail hunting with a bag limit of six per day. On the surface it seems easy. Simply close the quail season until numbers rebound when environmental factors and increased habitat line up to support recovery. But it is not that simple. One major thing to note right away – dozens of species of songbirds and insects that use similar habitats to bobwhite quail are also declining … and they are not hunted at all. I have already mentioned that with so few quail hunters, they simply are not having a negative effect at a statewide level. Further quail hunting tends to be self-regulatory in some ways – meaning when quail numbers are low, hunters stop pursuing them. It costs a good bit of money and takes a great deal of time to be a bird hunter. 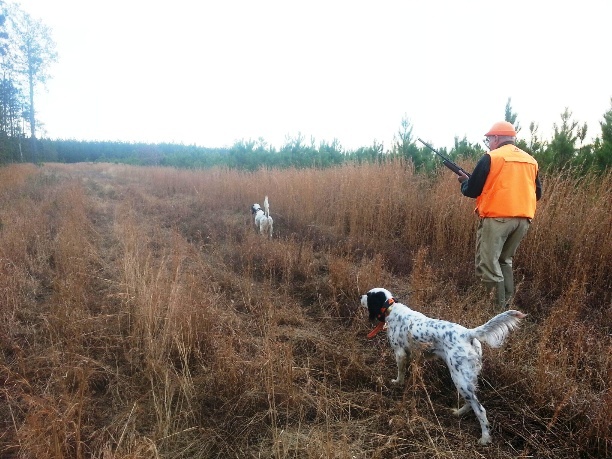 Very few people are willing to purchase a bird dog, all the associated equipment and put in the time to become a “real bird hunter” when quail populations are poor. However, there are places in Virginia where quail are at “huntable” numbers, and hunters still do well. I wonder who will champion quail when the quail hunters are gone? As a colleague of mine said to me “Quail will never be ‘every man’s’ bird.” I can only think that closing the quail season would hasten the extinction of our remaining quail hunters. I proposed a few potential changes this year early on and offered them to some of our avid quail hunters for feedback. 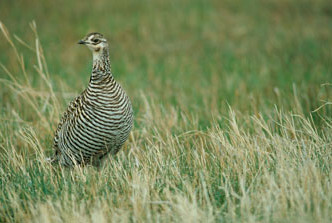 One such idea was the possibility of limiting the number of female or hen quail harvested. This should increase the number of females able to contribute to nesting in the spring and summer. 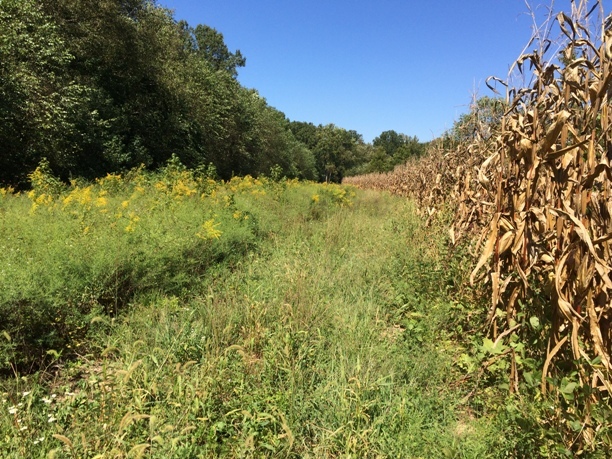 Limiting female harvest has been done effectively with mallards, pheasants, turkeys and whitetail deer. But the females of those species are readily identifiable, and while there are a few quail hunters who can distinguish between male and female bobwhites on the wing, most cannot. Feedback was negative on this idea. It was pointed out that it may be hard to enforce and that a person could violate the law accidentally. For example, if we said the quail bag limit was reduced to three per day west of the Blue Ridge with no more than one female allowed, a person shooting at a flushing covey could kill two hens without knowing it and be in violation. The same thing could occur east of the Blue Ridge if we left the bag limit at six but allowed no more than two hens and three hens were killed on a covey rise. My take on all this is that perhaps we ought to consider education before regulation. I propose a set of “Bird hunter best management practices” or BHBMPs. These may include a self-imposed limit on the number of females harvested. For instance, if you find a nice covey of quail, kill two and they are both hens, how about considering moving on and not pursuing the singles and risking killing even more of the females. You could also consider that if you kill more than 3 or 4 quail out of a covey, you might want to leave that covey un-hunted the rest of the winter. Further, as the law requires in many mid-western states, the pursuit of upland gamebirds should end at sunset. We could make that a law here, but in reality it comes down to an honor system and I’d like to think most bird hunters already adhere to this practice. No bird hunter that calls him or herself sporting can make that claim if they are still shooting quail near dark. The coveys need time to regroup and form a roosting disk before the night cold sets in. Lastly, I’d say in the back of every bird hunter’s mind, they should value every quail, grouse and woodcock as much as they value turkeys, ducks and deer. Why would anyone consider a quail less valuable than a turkey? Is the size of the quarry the determining factor in how we should judge our success in the hunting endeavor? Before I make a few comments about quail hunting on public lands, I want to point out that all private landowners have the ability and the right to limit or prohibit quail harvest on their lands. And while as a whole quail hunting is not causing the quail decline, local quail populations, particularly on small properties, can be reduced or eliminated if over hunted. Private landowners should consider determining the number of quail they believe they have before the season starts and limiting harvest to no more the 20% – 25% of that. This takes effort and would require hunters of their land to report their kill. As an example, suppose you believe you have four coveys of quail on your land, each about 15 birds going into the fall season. 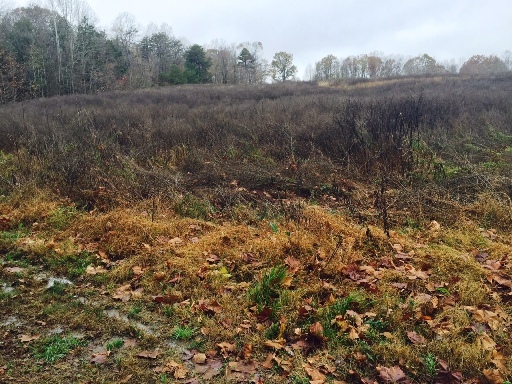 You would close the quail hunting on your land when 12 – 15 or so quail had been harvested. Concerning public lands, our department is going to begin making an attempt at getting a better idea of the quail harvest on lands we own. We want to provide opportunity, but also want to insure our policies are not hindering quail recovery on your public lands. Quail hunting on public lands may be having no negative impact at all, or it may be limiting recovery – we simply do not know. And we hope our quail hunters will support us in our efforts to make a fair assessment and modify our approach to public lands quail hunting if it is determined changes need to be made. I hope you all have a wonderful Holiday Season with your friends and family, and your bird dogs. Just remember with family or with bird dogs, it is the quality of the time you spend that is most important. Author’s note: I got long-winded again. I guess I could have used 40 mimes, or 100 tweets to try to convey this, but I am old school. I write for people who still like to take a few minutes and read. I have been lucky to spend the last 24 years involved with some of the best quail researchers in the world and also some of the best people. Here are a few recollections of that time. I gave a talk to a distinguished group of local landowners and bird hunters last Friday evening at Lowry’s Restaurant in Tappahannock, Va. It’s one of the few places I know of that has “all you can eat” deep fried quail on the menu. I can’t say I ever saw so many farm raised quail consumed in one sitting in my lifetime (I had a turkey sandwich – you ever try to eat fried food before giving a talk?). It was ironic my talk was on quail nutrition, since quail were the nutrition of choice that evening. I began my talk with this statement: “You can learn a lot about quail by hunting them behind a good bird dog, but there is a lot you don’t learn that way, too.” Lately I have looked back over what I term my “quailucation” – my quail education, and I realize it has been a pretty darn good one. It was as a kid rabbit hunter back in Pulaski County, Virginia that I first started to develop a search image for what gamey cover was. After a few years of chasing bunnies, even a boy gets to know where not to waste time. I recall a number of quail coveys flushed in those pursuits and I can see them all flying away as clear as a dew drop to this day. Many were using “old home sites.” There were sagging fences, overgrown with brambles, old hog lots with rich dirt and diverse plant life, and collapsing cabins whose old yards could hold rabbits, quail and even grouse. I’d have laughed in any person’s face back then who said to me “That’s good early-successional habitat.” What!? It was just thickets and brush to us. And there was a lot more of it then, along with chinquapins, bumble bees, butterflies and migrating birds (and a lot fewer of us). Later in life, when I was about to complete my undergraduate degree, a good friend of mine saw me walking down a hall at Virginia Tech and he had a flyer in his hands. He said to me “Marc, you ought to put in for this project on quail in North Carolina.” I’d always wanted to be a bird hunter, but had never figured it out. I took him up on the idea and long story short, I ended up being accepted to North Carolina State University working under the tutelage of Dr. Pete Bromley and in close concert with Bill Palmer, now CEO of Tall Timbers Research Station. Dr. Bromley made me a professional and Bill made me a bird hunter…along with Frank Howard, a tobacco farmer and “old time” bird dog man of great ability who battled Parkinson’s disease as he shared his knowledge of bird dogs with us. I did not realize then how lucky I was to have these three men continuing my quailucation. Frank told me once, “Marc, I have trained enough bird dogs in my life, if you hooked them all to a harness, they could pull a 747.” I began to learn quail from several new angles. I saw how quail behaved when surprised. I began to learn when, where and what they fed on. I learned how they called to one another, and also how to stay very quiet in approaching a dog on point, so quiet you could sometimes hear the soft calling of the quail and be a little less surprised at where they flushed. I learned that in some circumstances they’d hold so tight they’d literally come up between your legs, and in others they’d run ahead and come up out of range. And I began to see why…the closer you came upon them before surprising them the tighter they held. They can hear as well as turkeys. Simultaneously, I began attempting to trap quail for my research project. My study area was the contract farming units on the Alligator River National Wildlife Refuge in the coastal plain of North Carolina. My first few weeks of quail trapping were a lesson in humility. I had trapped a lot in my youth, but I found catching quail to be more difficult than trapping raccoons, muskrats and foxes. Quail don’t rely on their sense of smell to locate food, thus they cannot be lured to a trap with scents. I started to realize that you had to put the traps where the quail were…not 10 feet away from where they were. I learned how they “stage” in edge thicket cover before moving out to feed. And it was in these staging areas that they could be captured with some success. I also learned their affinity for shrubby cover and brier thickets. If I was not battling thickets when setting traps, I caught few quail. Something else I noticed was that they did not always walk to where they wanted to be. I witnessed on more than one occasion their flight to a feeding area and then back to cover. These flights were fast, only a few feet off the ground and in complete concert with one another. Up in a split second, buzzing out to the feeding area, and then after feeding quickly up and back into cover in a matter of seconds. One morning as I was hunkered under a blackberry thicket re-setting a trap, a covey flew into the thicket within 10 feet of me. I lay still and listened. They were calling softly to one another and they knew something was amiss. I listened for a time and then started sliding my way out of the thicket. I managed to get out without flushing them and I later caught that covey. I had found their covey headquarters for sure. Something else I saw them do on more than one occasion…just at dusky dark, they flew out into the wide open soybean stubble fields to roost. I confirmed it by looking for their roosting disks during daylight. I suspect in their case, if not spotted by an owl, they were safer out in the stubble than along the field edges. The quail were especially difficult to catch on one portion of the study area. It was wide open and windswept, and the only cover existed along drainage ditches. Bill Palmer visited almost weekly, as my study was nested within his larger study. He was depending on me to catch quail. We were both perplexed by this section and then Bill had a spark. The wind brought the Northern Harriers, and the harriers cruised those ditches back and forth all day long. The only place the quail felt secure was down in the big drainage canals at the end of each field. So down we went, excavating trapping sites eight feet down the steep banks of those canals. I later borrowed a canoe from the U.S. Fish and Wildlife Service and put in at one end of the canal. It was still cold so no worries about gators or moccasins. And, low and behold, as I canoed around these canals I gave many a quail their first glimpse of a human in a canoe. The look of surprise they exhibited as I came up almost eye to eye with them was priceless. But they held tight as I paddled by. This was a lesson for me in their adaptability. I later also learned how nature interacts. The harriers came for meadow voles, not quail, and when the vole population crashed the Harriers did not tarry. Low vole populations meant less harassment for the quail of ARNWR. We also found that incorporating field borders along drainage ditches running through crop fields helped quail, but were not a complete substitute for larger blocks of fallow land. Ideally, farmed landscapes will incorporate a variety of fallow fields and borders, and maximize “weedy areas” whereever possible. During those days we also raised quail in captivity and hatched eggs, thousands of them. 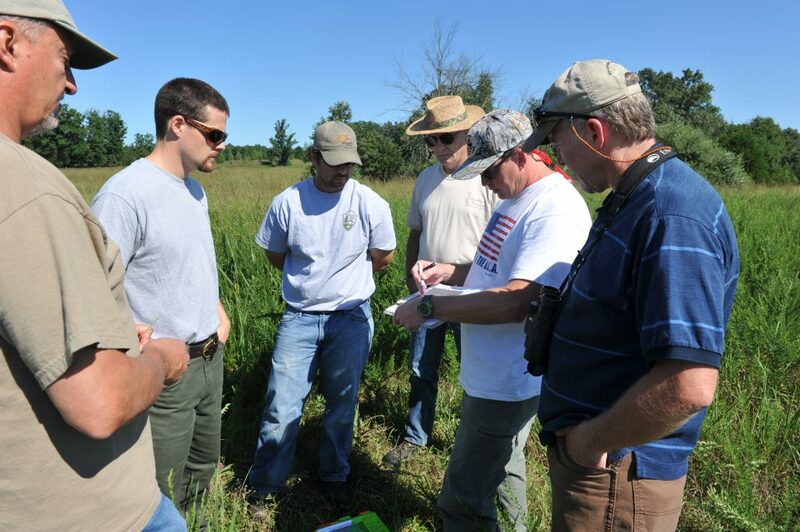 Other students were studying different aspects of quail ecology offering more learning opportunities. We ran sweep nets for insects to feed the young quail. What predators they are! To observe their foraging habits, many were imprinted on humans after hatching, and it was a fun sight to see a student walking along “cheeping” at the little quail as they fed. Grasshoppers, crickets, beetles…they jumped on them with a raptor’s zeal. In one case a chick grappled with a praying mantis as large as it was and was unable to kill it. If you look at a quail chick up close, its head is all mouth. The shape of their young mouth reminds me of the nightjars (Chuck-Will’s- Widows, Whip-poor-wills, nighthawks, etc.) which have such large mouths for night foraging on insects. Upon coming to Virginia I was lucky to work with several more fantastic people: The “Old Timer,” Irv Kenyon, who wrote “Beyond the Foodpatch” and had forgotten more about quail than most people will ever know; Steve Capel (our leader, now retired but still going strong for habitat); Patty Knupp “Sister” who kept us all in line, now with NRCS in Colorado; and Mike Fies who was responsible for some of the best research ever done on quail in Virginia or elsewhere. 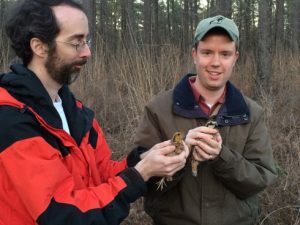 In conjunction with NCSU researchers, we helped study predator effects, translocation of bobwhites (back before it became “new”), survival of pen-raised quail, and more. We found that predator control only made sense if a person had first invested in fantastic habitat, and then if done, it had to be done every year. The best dollars spent are on habitat first. We found that translocated wild bobwhites did survive much longer then pen-raised quail, averaging 39 days versus the 2 to 3 for pen-raised, but there was no substitute for managing habitat to produce locally hatched and raised wild quail. We found that having a quail brood is tough on the parents, with 39% of the hens hatching eggs dead within 40 days. And we set up remote cameras on hundreds of hatched or depredated quail nests. This led to close to 5,000 photographs of nest depredations. We found that raccoons, opossums, skunks and foxes were the main culprits. Out of all those photos we had one case of a deer eating a quail egg, one groundhog and a couple crows. We never had a single photo of a turkey depredating a quail nest. Or a coyote. Before we did this study many people assumed that if you found a quail nest with all the eggs gone and no broken shells or other evidence, then it must have been a snake that ate the eggs whole. Not so fast! We also used remote video cameras and guess who else steals eggs leaving no trace? Mainly red foxes – we assume they carry the eggs off to feed young, or cache them for later use. We continue to try to stay on the cutting edge of quail research. We have been fortunate to have had Dr. Theron Terhune, Tall Timbers Game Bird Research Coordinator, visit with us multiple times, as well as Dr. Chris Moorman, Wildlife Unit Leader at NCSU, another fine quail program with ongoing research into quail ecology. For those who may not understand the job of a state species project leader, one big aspect is to stay current on recent research on your species. I believe we are doing that in Virginia. We have not let “moss grow.” I continue to read every wildlife journal and newsletter I can find to insure we do not fall behind and grow stale. We continue to look for opportunities to start new quail research. Dollars have been tight for it, but we hope to continue to look for funding so that we don’t fall into the trap of thinking we know all there is to know about any species. Conditions change, species change, and we are either learning more about them, or we are falling behind. We have a new quail team now full of bright, enthusiastic biologists who are making their names known and we continue to strive to do our best for Virginia’s quail.